Seems obvious doesn’t it – Twitter Branding? Shouldn’t anyone who has their own domain and Twitter account include the @ in their website’s headers and Title Tags? Or it could just be obvious to me because I look at couple hundred web pages a day. While this domain and my Twitter account name aren’t exactly the same, using both namess within this website ought to increase the search visibility of each. 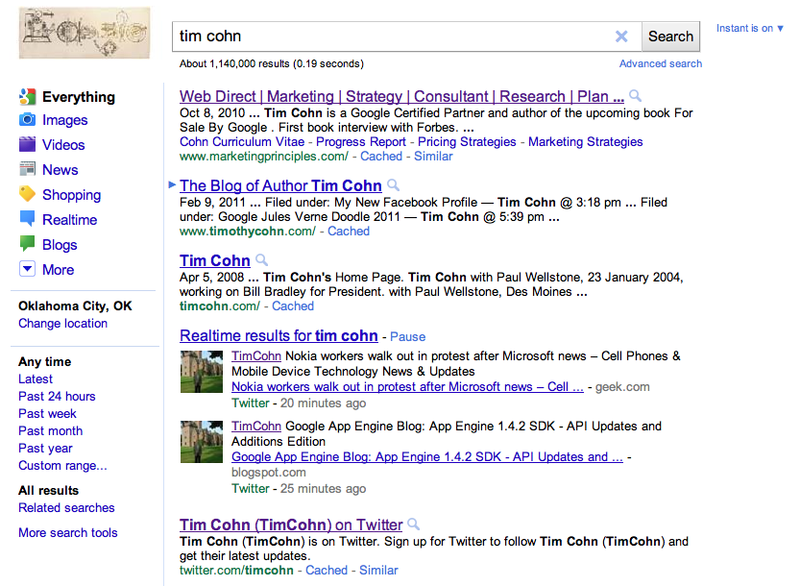 This entry was posted on February 11, 2011 at 3:01 pm and is filed under @TimCohn Branding, Branding @TimCohn. You can follow any responses to this entry through the RSS 2.0 feed. You can leave a response, or trackback from your own site.